Our spaciously designed 4-bed rooms are the perfect choice for price-conscious solo travelers, small groups, or families. Enjoy the homely atmosphere in a modern setting! The rooms are equipped with bunk beds. You share the room with other guests. From 18 years! These rooms have their own bathroom with shower , toilette and hairdryer as well as flatscreen TV, telephone and free Wifi access. Please note that bedding is included and towels cost one Euro for rent. Larger groups and families are recommended to reserve one of our 6-bed rooms for sharing. 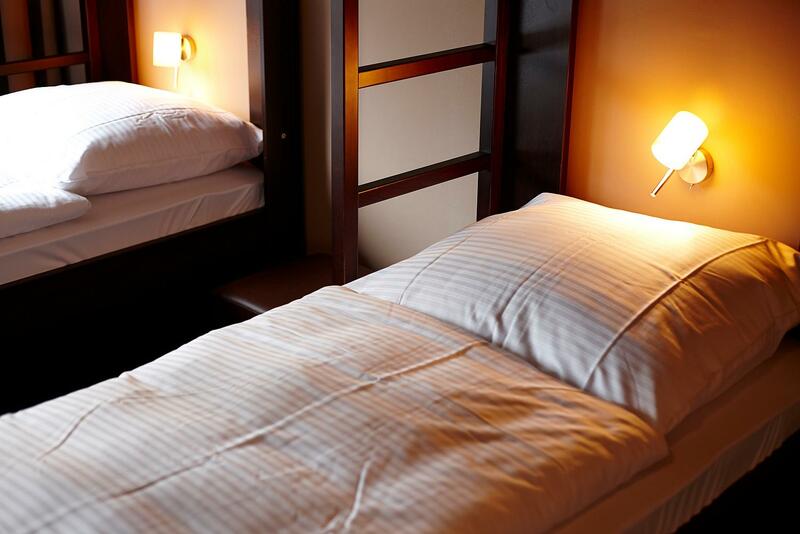 But solo travelers are also welcome here – the beds can be booked individually. 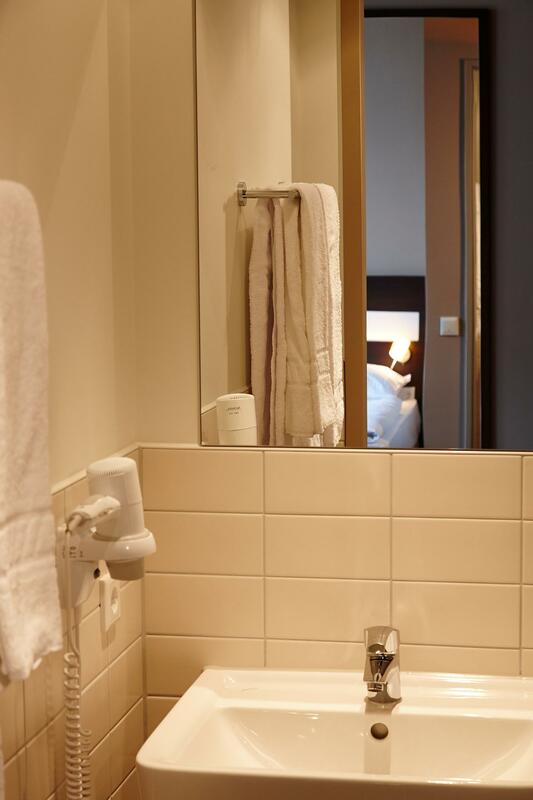 All multi-bed rooms have their own bathroom with shower , toilette and hairdryer as well as flatscreen TV, telephone and free Wifi access. The rooms are equipped with bunk beds. You share the room with other guests. From 18 years! Please note that bedding is included and towels cost one Euro for rent. 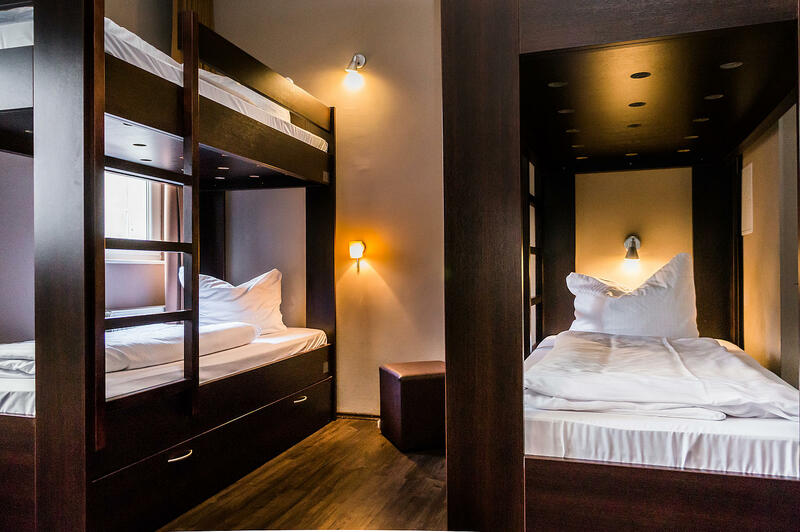 Groups or sociable solo travelers will feel at home in our spacious dorms with 8 beds. 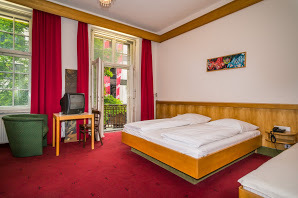 The beds can be booked individually and every guest is provided with a locker for their valuables (padlocks can be purchased for 2 euros at the reception). 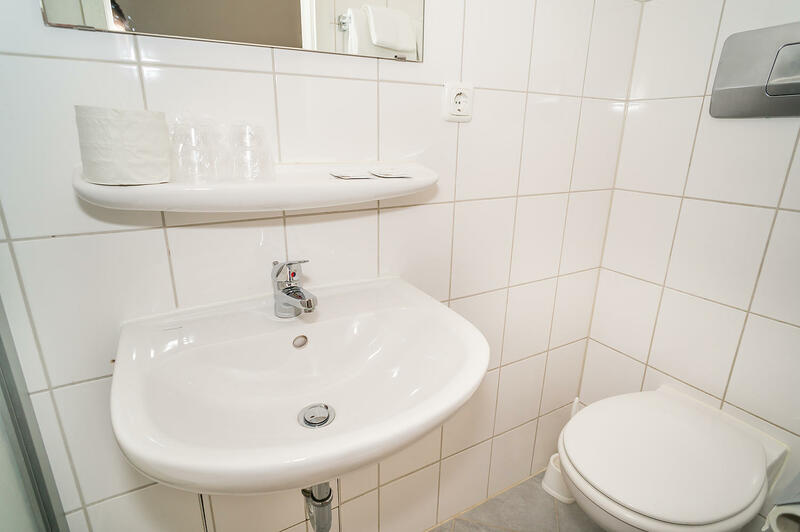 Each room also has its own bathroom with shower toilette and hairdryer as well as flatscreen TV, telephone and free Wifi access. 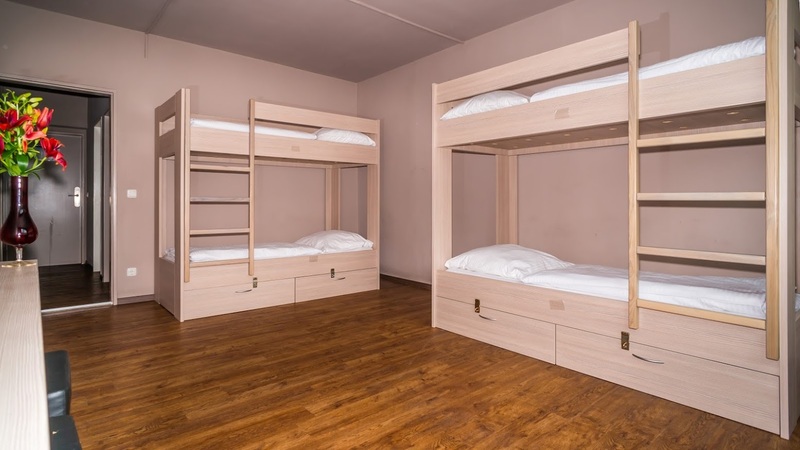 Despite their size and the fact that they are occupied by multiple occupants, our 8-bed dorms are cozy and don’t have an impersonal dormitory feel to them. The rooms are equipped with bunk beds. You share the room with other guests. From 18 years! Please note that bedding is included and towels cost one Euro for rent. Our 4-bed rooms are the perfect choice for price-conscious solo travelers, small groups, or families. The privacy of the rooms will make you feel right at home, whilst offering plenty of space and a lockable cupboard for storing valuables for every guest. 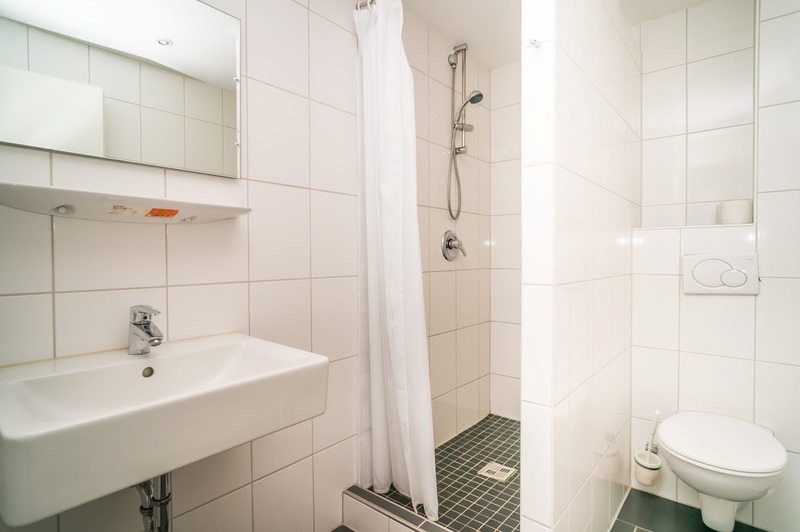 The shower and WC are located in the hallway. Guest can use our free WIFI. he rooms are equipped with bunk beds. You share the room with other guests. From 18 years! Please note that bedding is included and towels cost one Euro for rent. Larger groups and families have the option of reserving one of our 6-bed rooms for sharing. But solo travelers are also welcome here – the beds can be booked individually. Thanks to their attractive decor and functional furnishings, these rooms have a homely atmosphere without the impersonal dormitory feel. There is a locker for every guest to store their valuables. 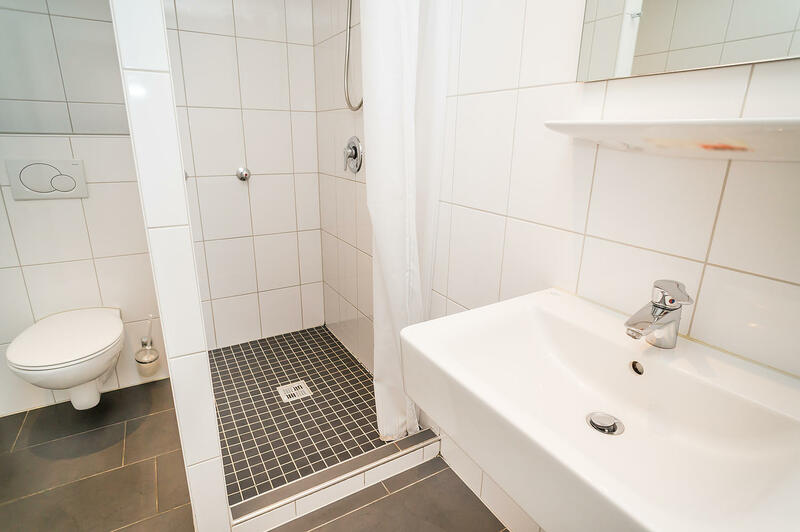 The shower and WC are located in the hallway. Additionally our guests can use free WIFI in their rooms. he rooms are equipped with bunk beds. You share the room with other guests. From 18 years! Please note that bedding is included and towels cost one Euro for rent. Our spaciously designed 4-bed rooms are the perfect choice for price-conscious solo travelers, small groups, or families. Enjoy the homely atmosphere in a modern setting! 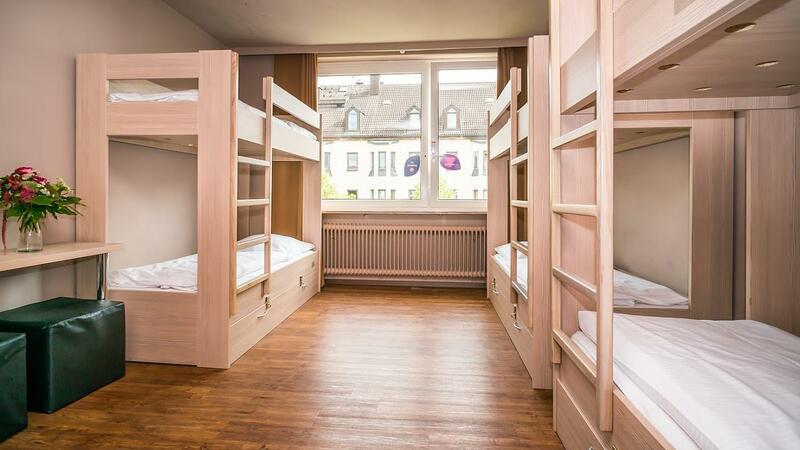 Equipped with 2 bunk beds - these rooms have their own bathroom with shower and WC and free WIFI. You share the room with other guests. From 18 years! Please note that bedding is included and towels cost one Euro for rent. Larger groups and families are recommended to reserve one of our 6-bed rooms for sharing. But solo travelers are also welcome here – the beds can be booked individually. Gender-specific occupancy of the rooms is also possible, for example as a dorm for ladies only. Every guest can store their valuables in a locker (padlocks can be purchased for 2 euros). Each room has its own bathroom with shower and WC and free WIFI. The rooms are equipped with bunk beds. You share the room with other guests. From 18 years! Please note that bedding is included and towels cost one Euro for rent. 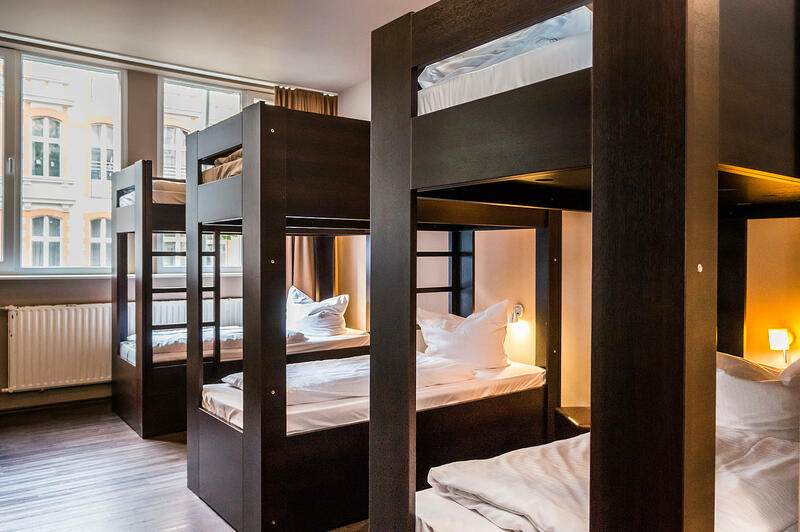 Groups or sociable solo travelers will feel at home in our spacious dorms with 8 beds. 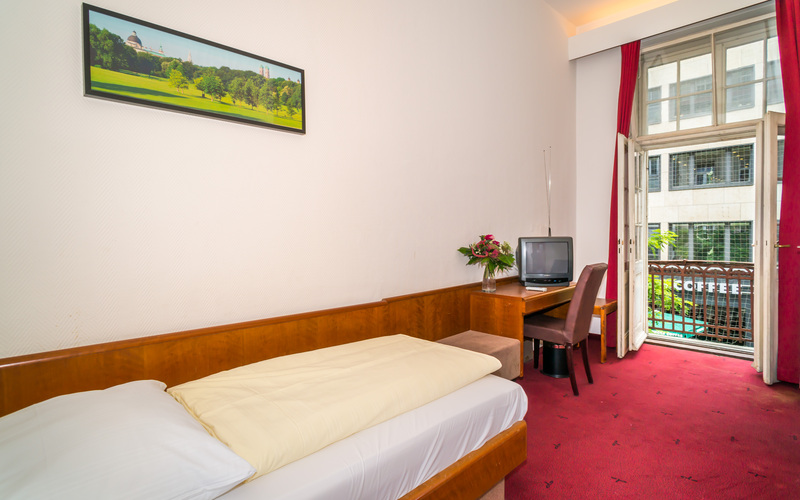 The beds can be booked individually and every guest is provided with a locker for their valuables (padlocks can be purchased for 2 euros at the reception). Each room also has its own bathroom with shower and WC and free WIFI. 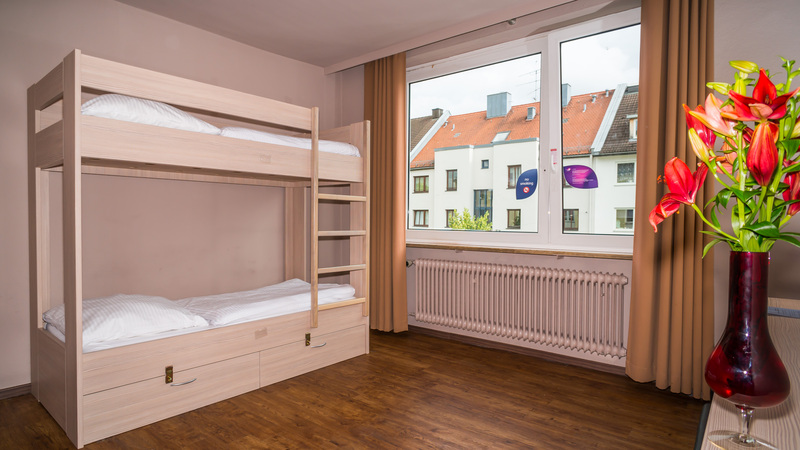 Despite their size and the fact that they are occupied by multiple occupants, our 8-bed dorms are cozy and don’t have an impersonal dormitory feel to them. 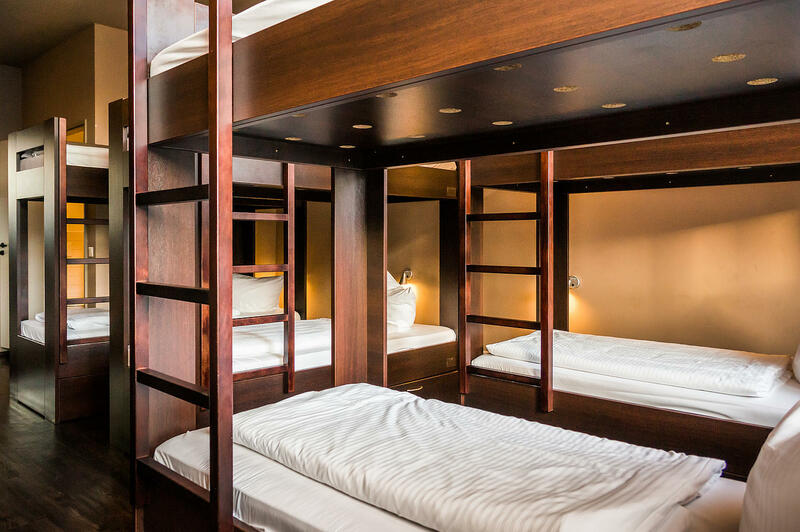 The rooms are equipped with bunk beds. You share the room with other guests. From 18 years! Please note that bedding is included and towels cost one Euro for rent.